What is a Washington Month to Month Lease Agreement? 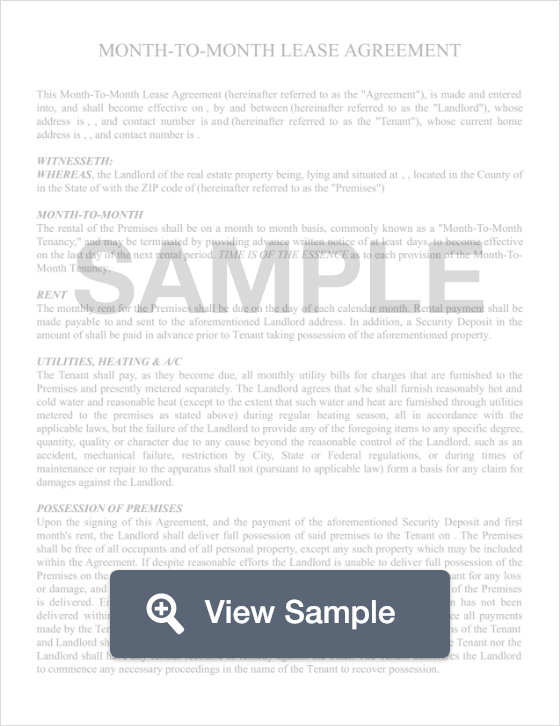 Washington Month to Month Lease Agreement: What Is It? In Washington, a month to month lease agreement is a written agreement between a tenant and a landlord who come to a mutual agreement on the terms of a tenant renting a property or unit for a short period of time. These types of contracts are common, especially after the expiration of year-long lease contracts and will renew automatically at the beginning of each month until canceled by the lessor or the lessee. Though month to month lease contracts can last for just 30 days, its terms must still be followed by both parties just as both parties would follow a year-long lease. Once either party wishes to terminate the agreement they must provide a written termination letter, also known as a notice to quit, in sufficient time according to state law. In the state of Washington, a month to month lease agreement can be terminated by either the landlord or a tenant with a Notice to Quit. Furthermore, such notice must be provided at least 20 days in advance.